Help Us Tidy Up Camp for Campers! 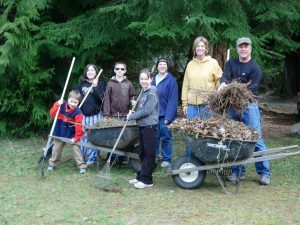 Join us out at Camp Sealth for a FREE service weekend. The weekend will include lodging and meals for those who are volunteering. Plan on arriving at 10 AM Saturday morning to check in and learn about our projects and sign up for those that interest you! We will be out working until 4 PM on Saturday and will provide a hot meal around noon. After clean up and rest, you can join us for a hot and delicious meal in the Rounds Hall. Saturday evening is a choose your own adventure, either head home for the evening or stay the night and enjoy some free time at camp and partake in evening camp activities! On Sunday, a hot breakfast will be served at 8 AM and after which we will finish working on our projects for those interested and available. Please plan to pack up and clean your cabin by noon on Sunday. Saturday evening is a time for relaxing, making new friends, a campfire, or other camp activities. Bring an acoustic instrument, games, or other entertainment to share. Youth will be under the supervision of their chaperone(s) at all times. 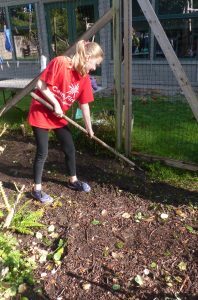 Youth 6th grade and older should be able to work most of the service hours. We ask that youth under 18 years who wish to stay the evening at camp should be accompanied by an adult for supervision. All youth under 18 years of age who provide at least three hours of service will receive a Sealth Service emblem and a community service letter. Call camp about bringing your youth group (Camp Fire, Scouts, etc.) to a service weekend. We are happy to make special arrangements for youth to volunteer at camp! If you reserve to stay at camp we will provide you with lodging in cabins in some of our heated cabins. You may be sharing space with other volunteers. Meals will be hot and nutritious. We will provide lunch and dinner on Saturday and breakfast on Sunday. Water bottle, work gloves and work clothes, extra clothes in case you get wet, and rain gear. If you are staying overnight please bring a sleeping bag, pillow, personal items, flashlight, favorite board games or other evening entertainment. Questions? 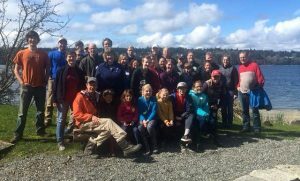 Contact Josh Cunningham, Outdoor Education & Retreats Program Manager at joshc@campfireseattle.org or (206) 463-3174, ext. 34.